Manchester United are reported to be considering a £35m bid for Crystal Palace right-back Aaron Wan-Bissaka, with Ole Gunnar Solskjaer thought to see the 21-year-old as his long-term solution in the position. 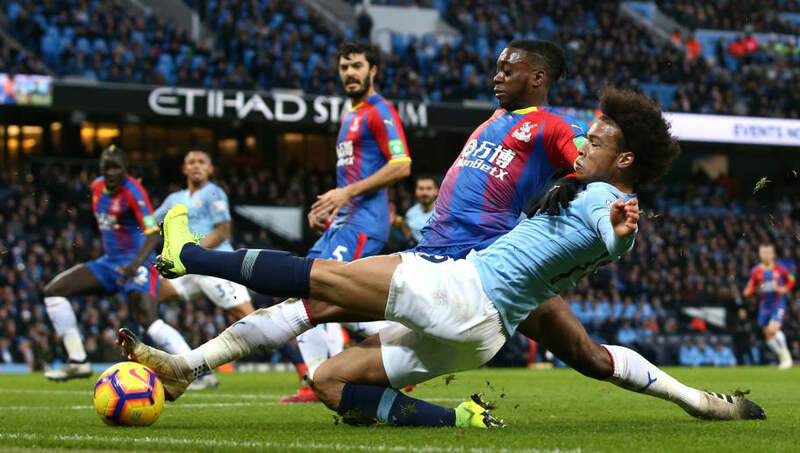 The England youth international has been a rock on the right side of the Palace back four all season, starting all but three Premier League matches in his breakthrough season, and earning himself universal praise for his tackling and composure . Having been appointed on a three-year deal last week, Solskjaer is reported by the ​Mail to already have one eye on the future, and one position under consideration is right-back, where he sees Wan-Bissaka as the answer. Such is the Norwegian's apparent confidence in the player that he is said to be prepared to sanction a £35m bid to pry him away from Palace, but it seems possible that the London club could demand more given that Manchester City are also rumoured to be interested. Should he end up on the Red side of Manchester, he could find himself fighting it out with Diogo Dalot for a starting spot, with the respective futures of Ashley Young, Antonio Valencia and Matteo Darmian all up in the air. The report also mentions ​United's plans to sign two new midfielders and a winger, while Raphael Varane - who is expected by some to leave Real Madrid this summer - has been ​heavily linked. By the sounds of things, then, Solskjaer's first full season in charge could be celebrated with something of a squad makeover this summer.